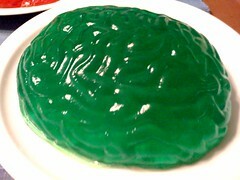 This is your brain...in Jell-O form. 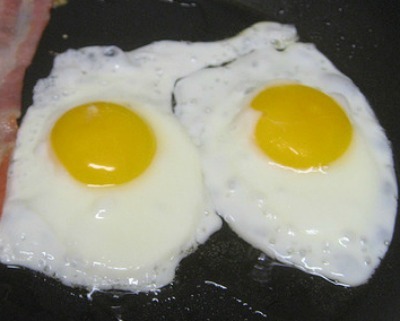 This is your brain, not on drugs as the PSA once told us, but on Ironman. Let me explain. I'm nearly two weeks removed from Ironman, and life should be back to normal, but it's so not. Except it's not life that's the issue, it's my mind. I think I lost half of it--or most of it depending on what day you ask me--in Lake Monona. My mind is foggy, hazy, unable to comprehend some basic stuff. I can't think straight, I can't wake up, I'm forgetful, I can't write--which means I can barely work since that's my job--to save my life, and I can't make sense of how hours can elapse and I have nothing to show for them. If there's such a thing as post-Ironman brain, I have it. You can't remember anything. Hmm, what have I successfully remembered since September 9? Not much. I shared the 4-mile 5K but realized an hour later that I never included my suggestions to keep that extra mileage from happening again. I've gone to Trader Joe's twice--both times forgetting the items that brought me to the store in the first place (I have a weakness for peanuts and desperately needed chocolate milk). You're easily confused. Who may or may not have scheduled a PT appointment for the Tuesday after the race? This girl. Imagine my embarrassment when I receive a phone call asking where I am and I'm 20 miles away getting my bike fixed with zero chance of making said appointment. At least it was an easy fix for me to go the following day. You lack common sense. How many races have I run? Too many to count. Yet the Fort2Base race may be the first one where I never picked up my packet. It wasn't because I didn't want to run (well, that happened later but that's a different story), it's because I assumed I'd receive a reminder from the race organizers about the when and where on getting it--never did--and I didn't scan the website for the details until the night before. You're asking lots of questions. I should clarify that you're asking questions and then finding the answers right in front of you. I did this while downloading my race pictures, parking at a baseball game and registering for a race. The sad part though is that this started the day before the race...I walked past the on-site ART specialists and sports docs not once but three times before finding them. And that was after asking the massage therapists twice. How embarrassing! You're doubting your instincts. Why oh why did I keep running at SEA Blue? The only answer I can come up with is that I didn't trust myself. I should have turned around when my Garmin read 1.6, not talk myself out of it for fear that others would follow my bad example. You can't think straight. I'm the queen of list-making but I feel like if I didn't write out my latest list, I'd be completely lost. I have writer's block (worse than ever, I might add), I'm extremely indecisive and typing emails are a chore. And why didn't I read about Fort2Base earlier in the week? You can't keep track of time. I can sit at my desk for hours at a time yet I can't make sense of what I did between the hours of noon and three. I don't have much to prove for it since I couldn't even write this until now and I stare at a lot of blank pages after hitting the delete button repeatedly. Oh yeah, and how many times have I intended to go to the gym to foam roll, stretch or swim hours before I actually make it there? Too many. You have so much free time you don't know what to do with yourself. If I thought tapering was bad, recovering might actually be worse. At least during the taper, I was recovering from the crazy training and travel schedule I had endured in July and August. And I knew that I needed to do it to make it to the finish line. But now that the race is over, I'm not riding my bike 2-plus hours a session, running a routine 8-10 miles or swimming at least 3000 yards. I miss and all the exercise-indued endorphins that came with it that fueled the writing and made the desk time tolerable. Any Ironman racers out there know what I'm talking about? Please don't tell me I'm the only one who feels like this. And if you find my head floating somewhere in Lake Monona, you know where to reach me. Photos grabbed from skpy and holycalamity at flickr.